A, The FFB bunch be transported to plant by truck, after be weighted by weighting bridge, the FFB will be loaded down to FFB Loading Ramp. B, The iron door of unloading ramp is controlled by hydraulic device, Get the power from Hydraulic pump station. Start on the hydraulic device, iron door be lifted. FFB will fall down to the Palm Fruit screw conveyor, be transported to pre-treatment plant, to Vertical sterilizer. A, By Scraper Conveyor, FFB be transported to the top of sterilizing tank. Falling into sterilizing tank from feed inlet. C, After FFB be transported into sterilizing tank (202), close the door of sterilizing tank, and open the vent valve behind the tank, then saturated steam, which pressure is 3bar and temperature is about 130Â°C. After all the cooling air have been discharged out,close vent valve, proceed to sterilizing section. Sterilizing time is 55~60minutes. 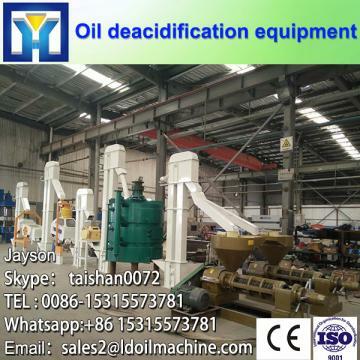 D, The time of sterilizing is also according the kind of FFB, if the pressure is too high or the time is too long , palm fruit will be rot, also Resulting in the loss of oil, high temperature can change palm color. E, Finish sterilizing process, close the steam valve, open the valve lead to Blow-off/down Silencer, canât open the sterilizing tank door until discharges out all steam and water. F, Open the sterilizing tank door, sterilized FFB will fall on the FFB Scraper conveyor. Be transported to next station. A, The sterilized FFB will be transport to thresher platform by scraper conveyor. B, We adopt advanced Drum type thresher, insider diameter is Ï1800mm, length is 5000mm.The material of main shaft is #45 steel (main chemical composition is C0.42~0.50%, Si0.17~0.37%, Mm0.50~0.30%, Pâ¤0.035%, Sâ¤0.035%, Crâ¤0.25%, Niâ¤0.25%, Cuâ¤0.025%). C, Sterilized FFB be twisted and knocked in thresher. Palm fruit will be separated from empty bunch totally, fall on Fruit Scraper conveyor though fence, the empty bunch will be transported to Bunch Temporary tank by Bunch Scraper conveyor. A, The palm fruit is transported to Crush tank (401) by fruit elevator. B, The fruit in crush tank will be heated to 90~95Â°C, crush time is 10~20 minutes. C, The pounded fruit flow into Palm fruit oil presser(402) to press. 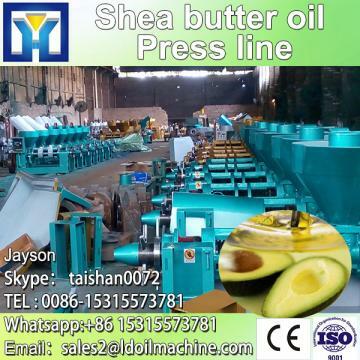 Oil press cone can control cylinder, working pressure is 50~70bar, revolving speed of presser main shaft is 12.5 r/min. Meanwhile the mixture of crude palm oil and water outflow from barrel holes. Crude oil will be flow in Temporary Storage oil tank(T06) through crude oil groove. Then oil will be pumped to Screening filter(601) by oil pump. After filtering take out the oil foam, deposit impurities. Palm oil flow into Passivating oil tank(602). The fiber cake and nucleus are exhausted from clearance of cone head drop on Breaking cake auger (501). 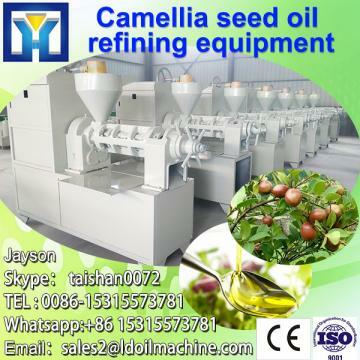 D, Palm fruit oil presser (402), the material of main shaft is 40Cr steel, (Chemical component: C0.37~0.44%,Si0.17~0.37%, Mn0.50~0.80%,Cr0.80~1.10%) have been thermal refining, the material of worm and cone head is 45# Cast-Steel, and the surface have quenching treatment. 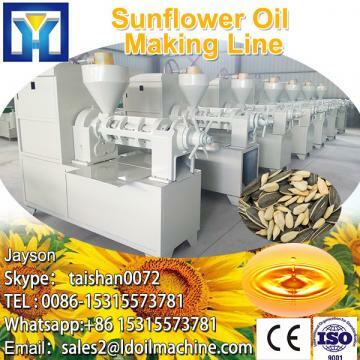 If you like our products,please kindly tell us your requirements,includes raw material name ,your processing capacity per day, have the production plant or not and related data, then we can efficiently make a cost-effective plan for you, we can calculate the cost and profit for you. Your trust and support are our large success. small palm oil press with low oil residual Main parts of chamber through the processing of high-temperature tempering and low temperature quenching;Cake thickness can be adjusted once the machinery stop running;small palm oil press with low oil residual Final oil is high quality, good smell, and high yield rate.